Southampton said it will investigate an incident where two fans made gestures toward Cardiff City supporters allegedly mocking Emiliano Sala. The incident occurred before Cardiff's 2-1 win over Southampton on Saturday in Premier League action. Video shows the fans allegedly making airplane movements with their arms. 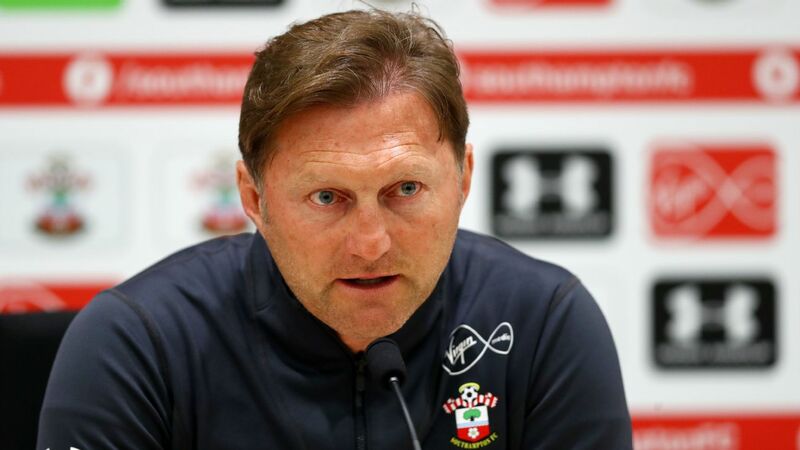 "Southampton Football Club can confirm that two fans were detained and had their details taken by police during our match against Cardiff City on Saturday," the St. Mary's side said in a statement. "Such behaviour has no place in our game and will not be tolerated at St Mary's. The club will be taking an extremely firm stance against anyone involved and intends to ban those supporters identified." Earlier this week, a body found in the wreckage of a plane in the English Channel has been identified as that of Sala. The plane, which was carrying the Argentine footballer, 28, and pilot David Ibbotson, 59, went missing from radar near Guernsey on Jan. 21. Sala was en route from his former Ligue 1 club Nantes to Cardiff after the Welsh club had signed him for a club-record £15 million fee when the plane crashed.